The selection of the type and amount of insulation cannot be made without due consideration of appropriate foundation and framing details. Check back to the parts of this publication, mentioned below, to ensure that the required amount of insulation can be accommodated within the structure of the home. F'<i iir t hf.- r.!<r!pt(-rs >■:! -Jul Floor Framing. Wall Framing a and Roof Framing. 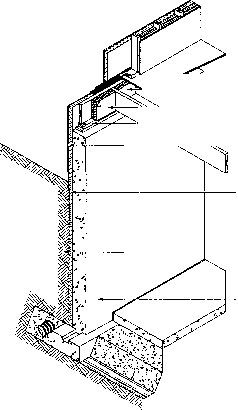 Concrete wall with rigid insulation on outer face. 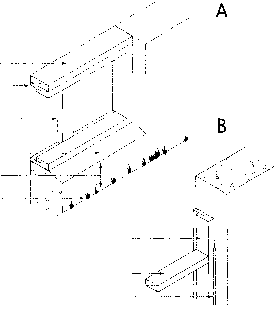 illustrated here, or listed in tables in the NECH are used, the effective thermal resistance of the assembly must be recalculated according to the method shown in the NECH.